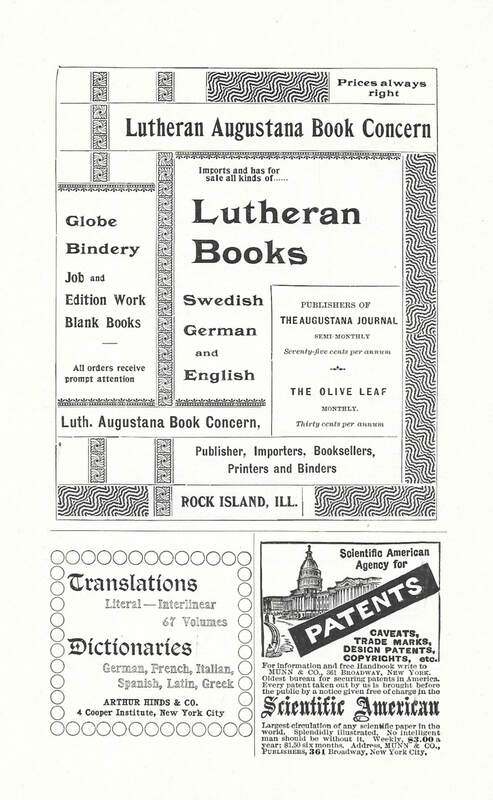 "The College … has, as an experiment, undertaken to publish this little volume for the sake of showing the friends and patrons ... what we are doing.."
This annual must have been a gift to Emil, for he became a student of Bethany in 1899. 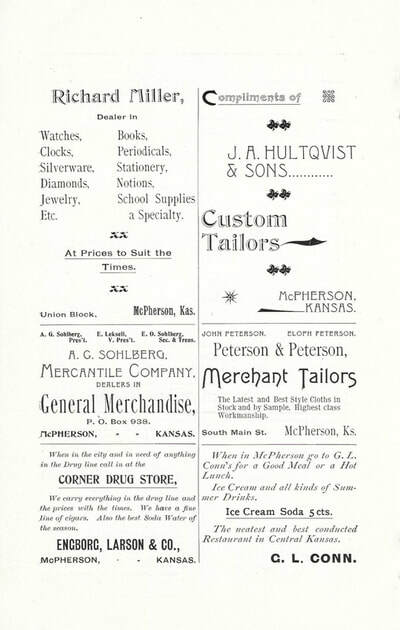 Lydia was still in McPherson helping her father, A.G. Sohlberg with his mercantile business and going to McPherson College where she would receive her Degree in Commerce in 1900, and, in that year, establish a millinery shop in Lindsborg with her twin sisters, Anna and Ida Sohlberg. Her brother George Sohlberg had already graduated from Bethany with its first Bethany Academy graduates, numbering five in all, in May of 1884. 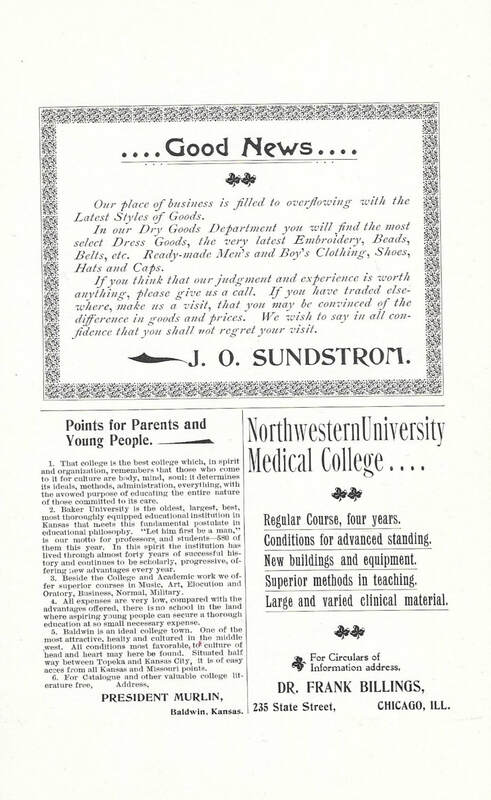 Her brother Robert Sohlberg also had graduated a few years later. 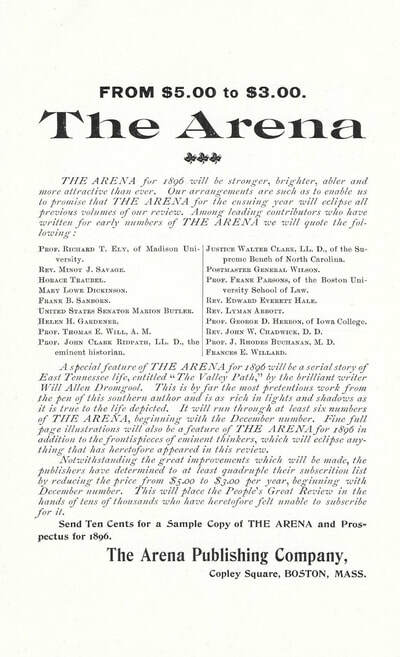 This fifteenth (15th) year was indeed a very important year for actually and formally recording and sharing the activities and progress of the school for the very "first time" in an "annual." 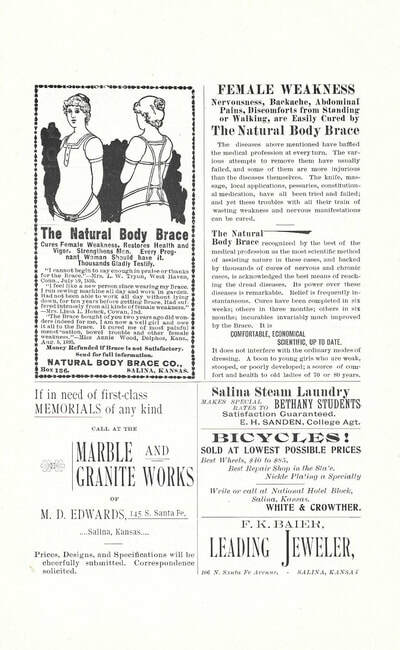 And then it must have been a delight for its founder and leader, Dr. Rev. Carl Aaron Swensson to report that the College was doing very well academically also, as he so well stated in an ad that "Bethany's College Diploma is recognized by leading universities in the East and in Europe without examination." And, it definitely was Swensson who "went out" to recruit the best and the brightest professors for his students of his school. 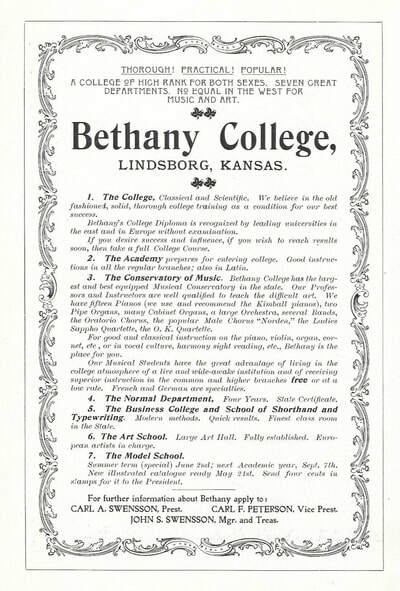 Bethany, the small Swedish institution of higher education established in 1881 on the great plains, the prairies, of America, then 15 years later consisted of the College, the Academy, the Conservatory of Music, the Normal Department, the Business College and School of Shorthand and Typewriting, the Art School, and the Model School. 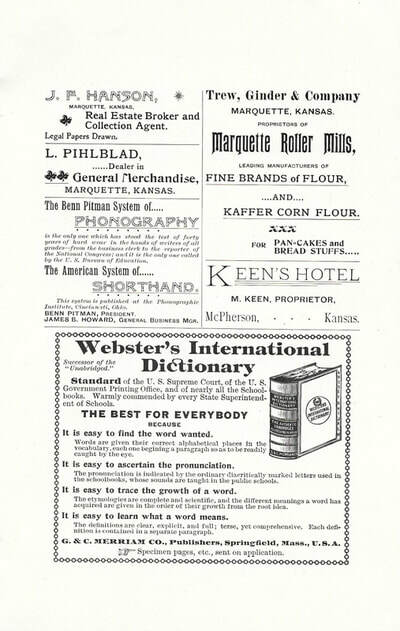 Below is a sampling of the contents of this "first" Bethany College Annual. 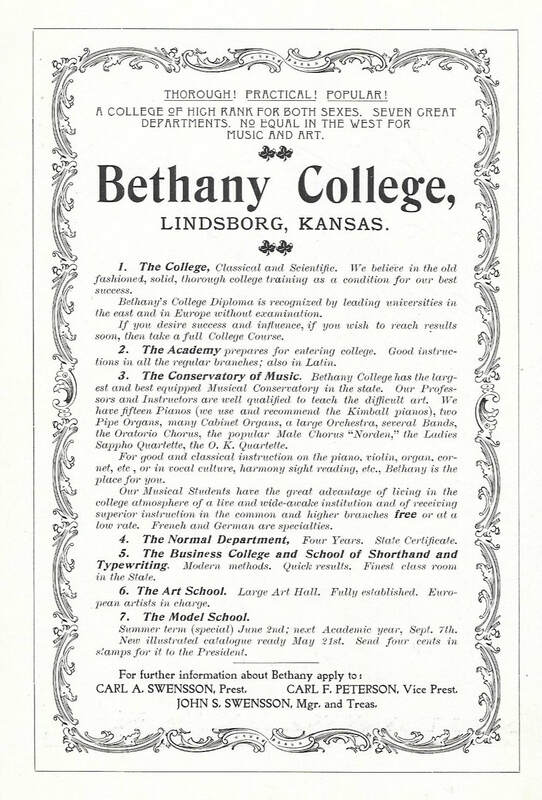 "BETHANY COLLEGE has now, as an institution, existed for a period of fifteen years. 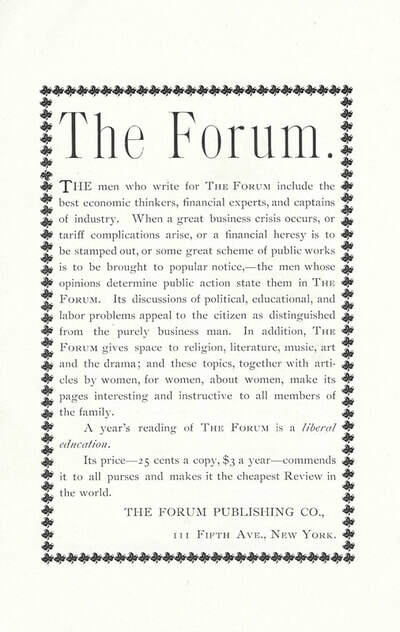 During this time no attempt has ever been made to publish an annual. The College Department has, as an experiment, undertaken to publish this little volume for the sake of showing the friends and patrons of this institution what we are doing. "It is only an experiment; but should the financial part be secured, the Department hopes to make it an annual publication. 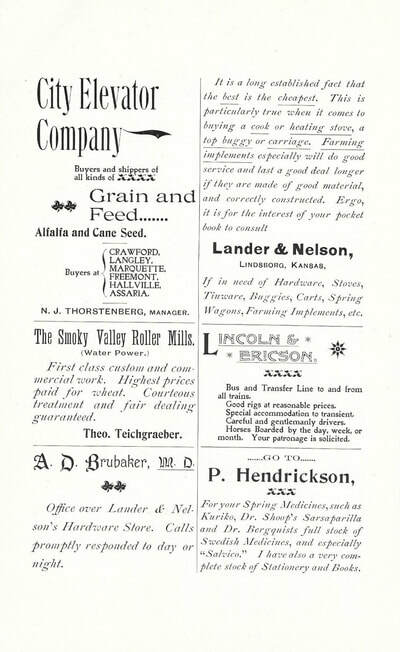 "Being pioneers in this work at Bethany College, we trust that our friends will overlook any mistake that may occur in the same. 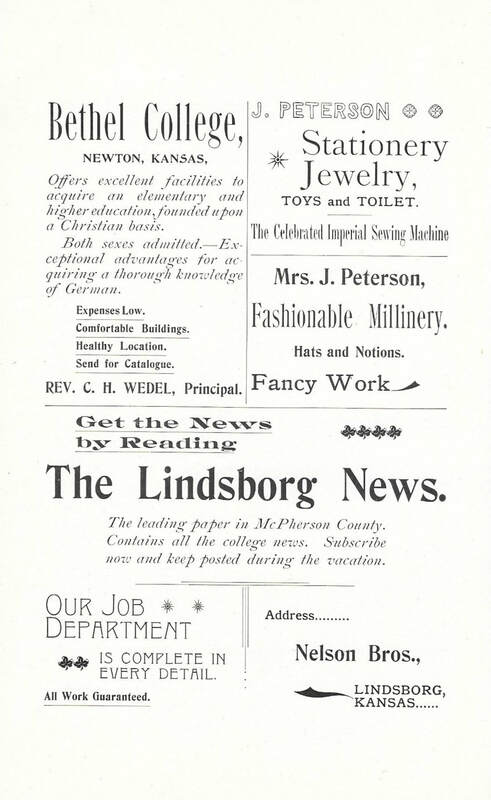 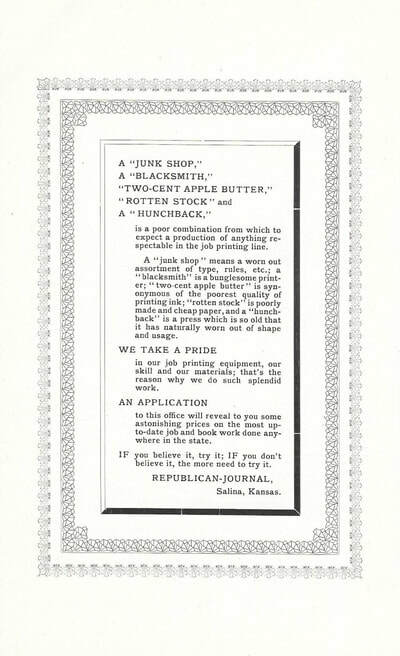 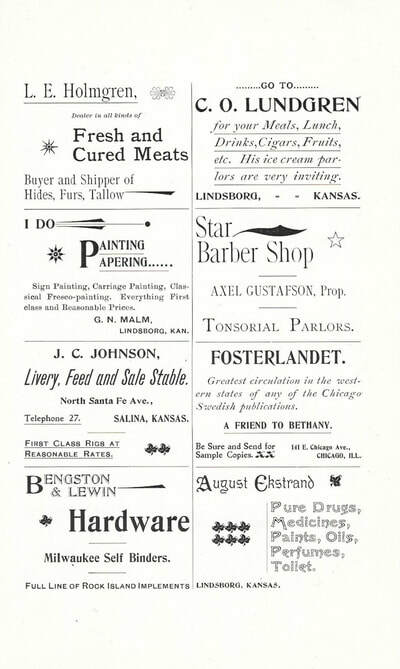 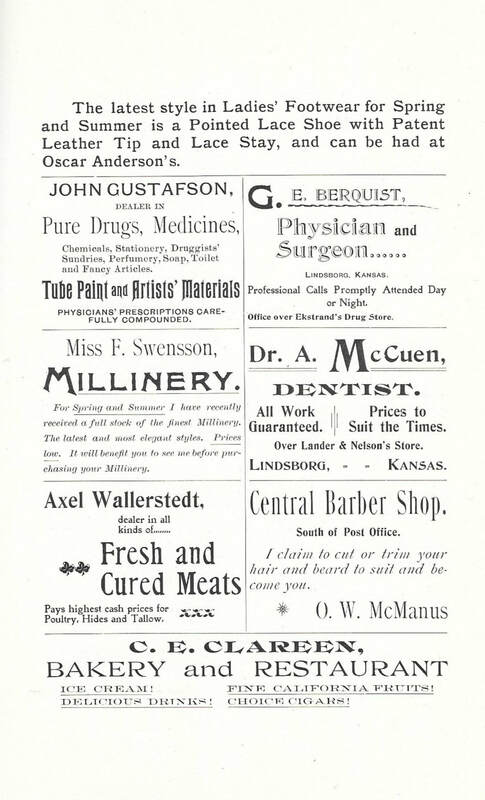 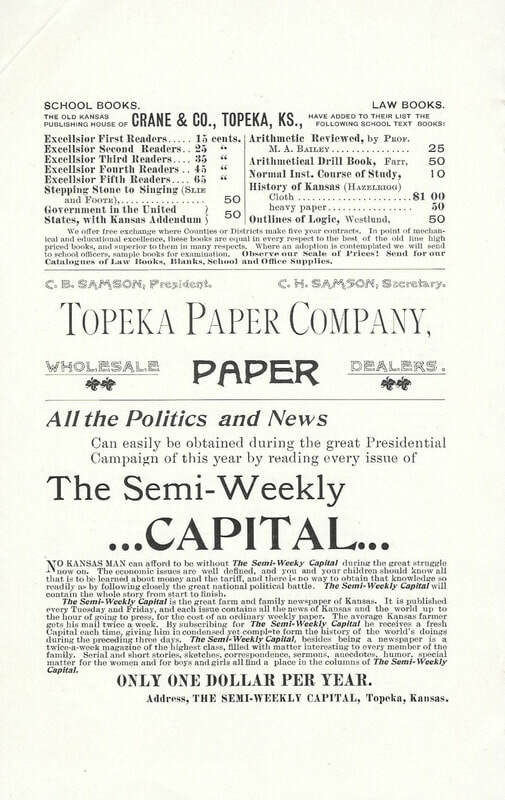 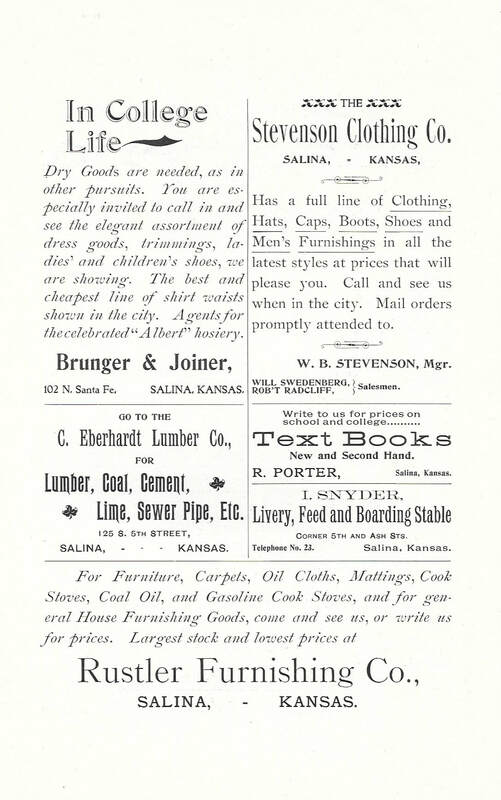 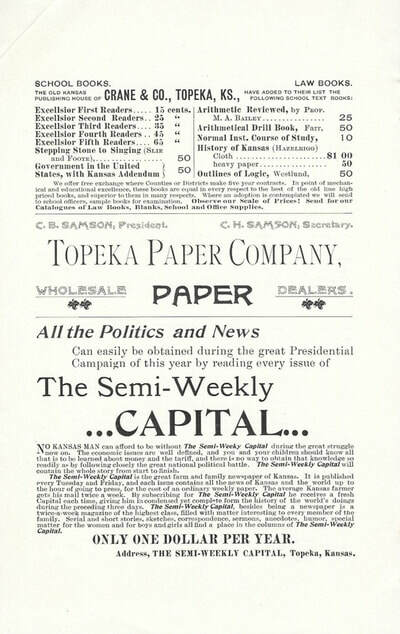 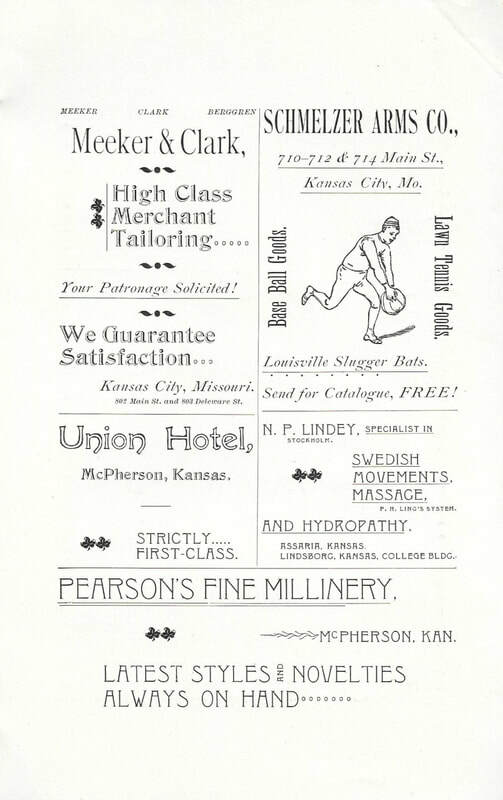 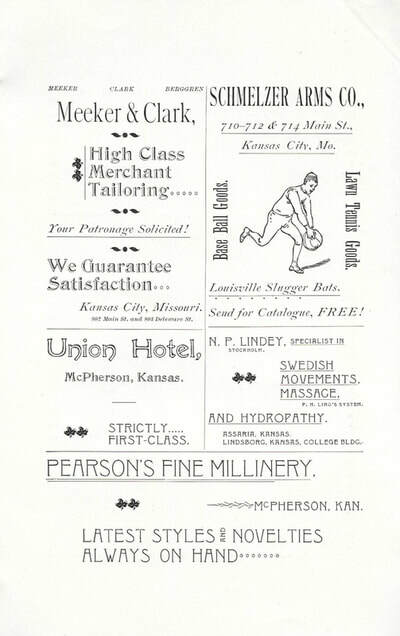 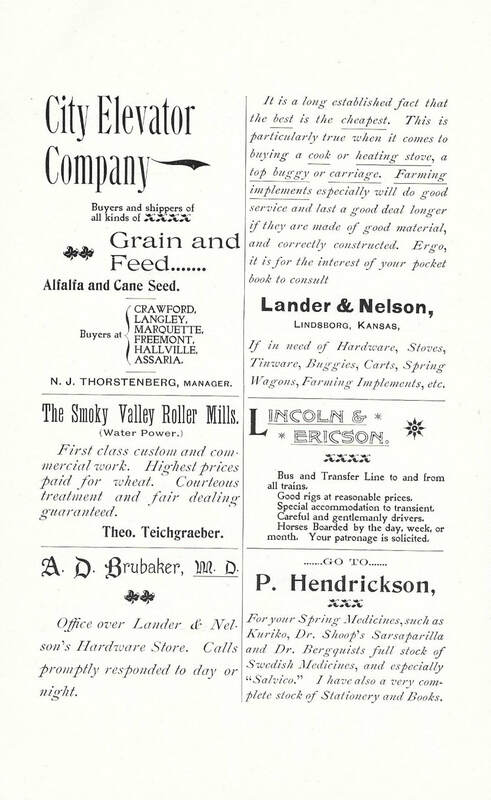 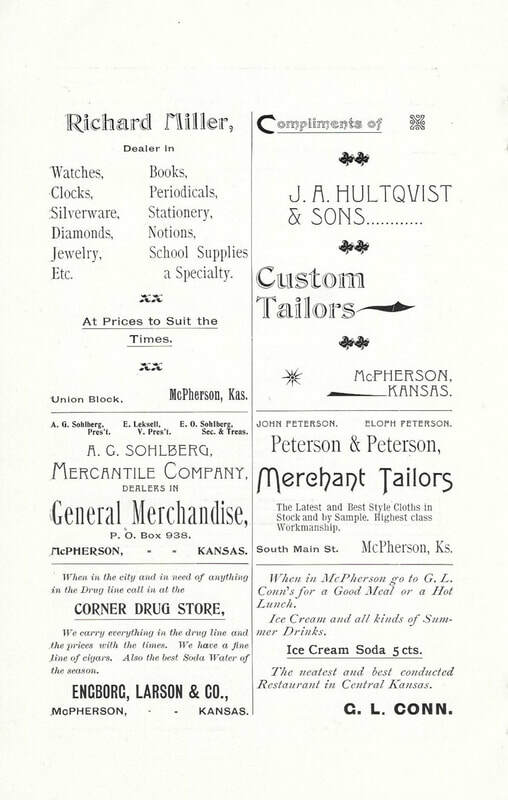 "Thanks are due to members of the faculty for their encouragement, and to the business men of Lindsborg, Salina, and McPherson for their generous liberality in advertising. 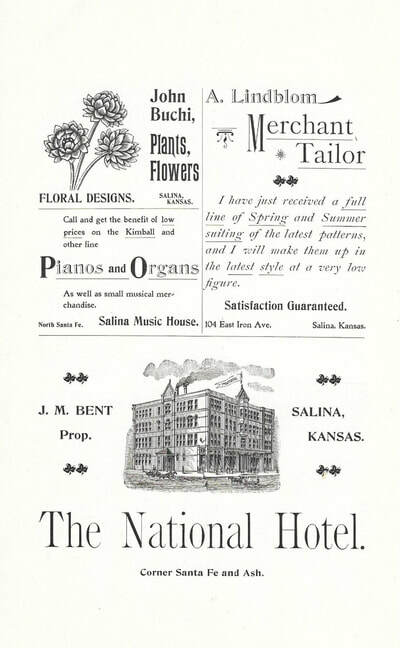 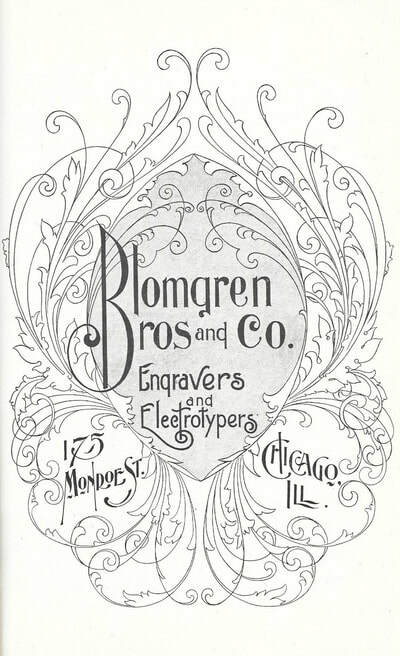 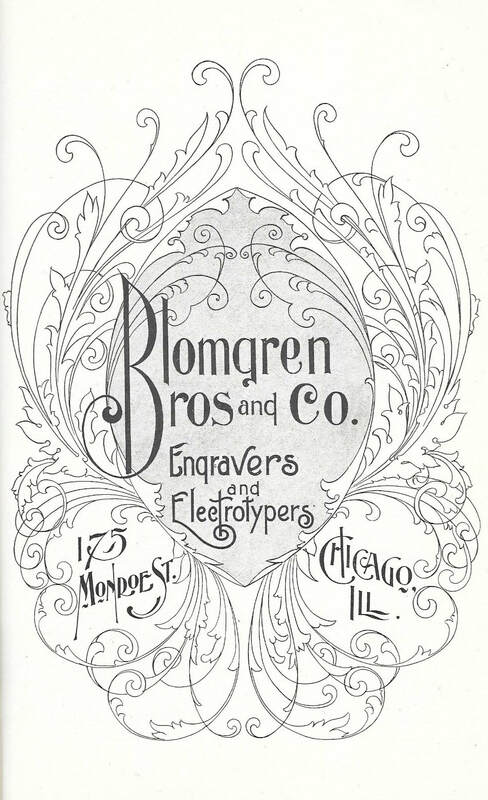 To go to Their Celebrating 20 Years of Bethany College T H E "Forget-Me-Not" Annual 1902, click HERE.